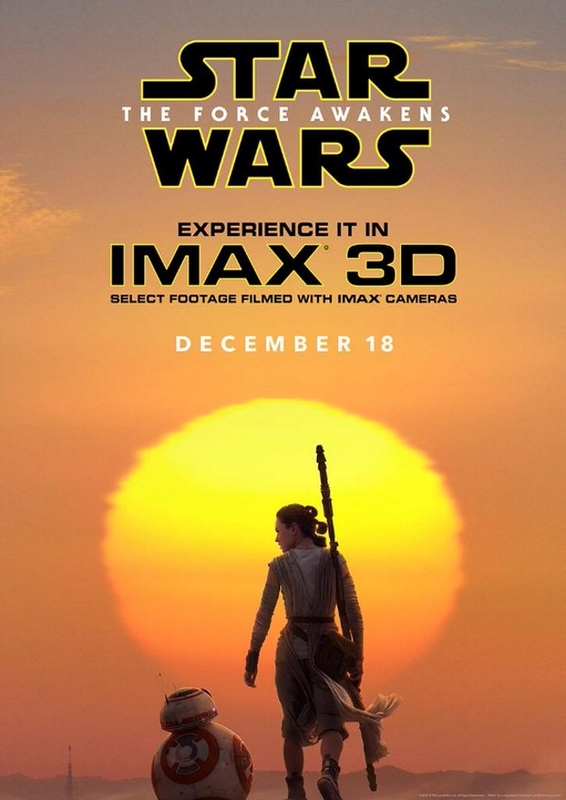 If there is one place on earth that you should be watching Star Wars The Force Awakens this December, it's in an IMAX cinema. Forget about the imitation "giant screens" the multiplexes around the world peddle, IMAX is the reel deal. J.J. Abrams shot parts of TFA using IMAX cameras, so audiences will be really in for a treat. In the meantime though, gaze upon this rather beautiful IMAX posters for The Force Awakens starring BB-8 and Rey.